The National Academies weigh in on planetary protection. 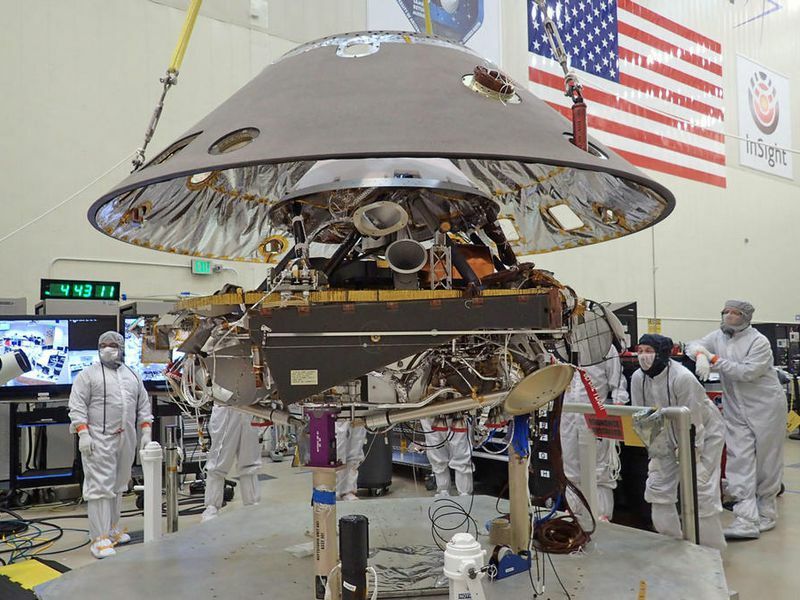 A new report from the National Academies of Sciences, Engineering, and Medicine published this week states that NASA should update its planetary protection policies to keep our world—and others—safe from biological harm. The change is warranted by future missions, already in the planning stages, that carry a risk of forward contamination—the possible spreading of Earth life to other planets and moons—as well as backward contamination, or the possibility that robotic probes or humans could bring extraterrestrial microbes back to Earth. There is no controversy about the latter threat: All agree that Earth has to be kept safe. The current policy regarding forward contamination, on the other hand, has been challenged and vigorously defended. Recently, pressure has been building to update it, particularly with commercial space ventures such as SpaceX eyeing Mars as a target for settlement, and NASA actively planning a Mars sample return mission as well as human missions to Mars. In addition, life-seeking missions to the icy moons of the outer Solar System are planned by both NASA and the European Space Agency. Exacerbating the problem is that NASA’s budget for space exploration has dropped nearly tenfold since the Apollo era. Extensive planetary protection measures are expensive, and can be steep hurdles for life-seeking missions. The goal of “protecting all of the planets, all of the time” is simply not tenable anymore. In fact, changes are already under way at NASA, where Lisa Pratt, a former astrobiologist from Indiana University, recently signed on as the new planetary protection officer. Future guidance from that office has to be more flexible as we prepare for encounters with other life forms in our Solar System, which are widely expected to occur within the next decade. The new report by the National Academies will increase the pressure to update planetary protection policies in order to make important new life detection missions, sample return missions, and human exploration of other planets or moons more feasible. How exactly to conduct these missions, while still safeguarding the planets from contamination, will be discussed further at upcoming scientific meetings held in the United States and Sweden.